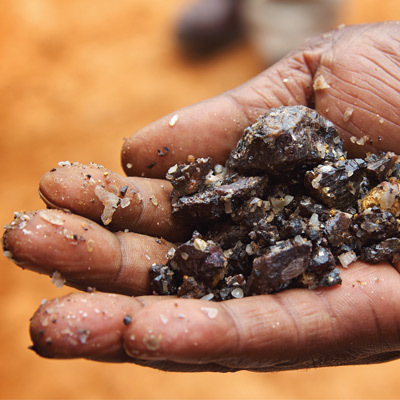 Leading electronics companies are making progress in eliminating conflict minerals from their supply chains, but still cannot label their products as being conflict free. Since Enough’s last corporate rankings report on conflict minerals in December 2010, a majority of leading consumer electronics companies have moved ahead in addressing conflict minerals in their supply chains—spurred by the conflict minerals provision in the Dodd-Frank Wall Street Reform and Consumer Protection Act and growing consumer activism, particularly on college campuses. Most firms have improved their scores from the 2010 rankings, but some laggards still remain. In particular, four leading companies—Intel, Motorola Solutions, HP, and Apple— have been pioneers of progress. These firms have moved forward to develop solutions despite delays in the legislative rule-making process by the U.S. Securities and Exchange Commission, or SEC—an excuse that many other companies have used to explain their lack of significant action. These leading companies have developed conflict minerals programs that have paved the way for other companies to follow. These include a smelter auditing program and an aid project for lagging smelters, direct sourcing and aid projects to help Congo develop a clean minerals trade, and tracing projects to dig deeply into their supply chains to identify precise numbers of smelters. Several other companies—SanDisk, Philips, Sony, Panasonic, RIM, and AMD, in particular—have significantly improved their efforts by surveying their suppliers, piloting due diligence, and joining the smelter audit program. At the other end of the spectrum, laggards are also standing out due to lack of progress and communication. For example, despite growing public awareness about this issue and significant industry movement, Nintendo has made no known effort to trace or audit its supply chain. Sharp, HTC, Nikon, and Canon are taking initial steps to join industry efforts, but their progress remains far behind industry leaders. Additionally, other industries that use conflict minerals—automotive, jewelry, mining, and industrial machinery—are finally taking initial steps to tackle the problem because of the legislation, but remain far behind the consumer electronics firms.